42yo man in high speed MBA (single vehicle accident: lost control on wet road, thrown from motorbike). He has superficial grazes to his right buttock, is complaining of hip & back pain. HR 136 sinus tachy. BP 97/58. 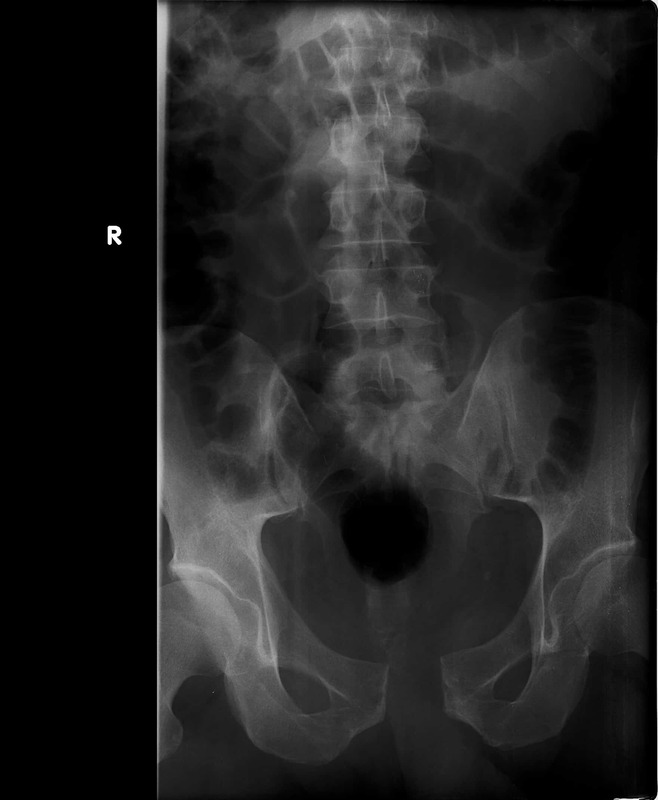 You suspect pelvic injury. Describe the findings on the pelvic xray. There is marked pubic symphysis diastasis & widening of the sacroiliac joints. An “open book” pelvic fracture. 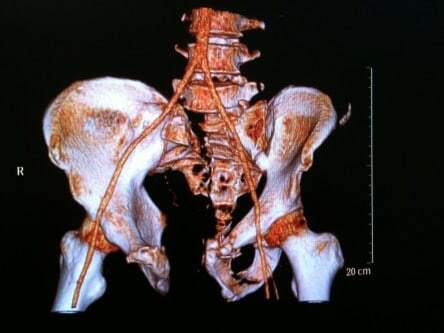 This is the CT reconstruction (unfortunately a pelvic binder had not yet been applied). 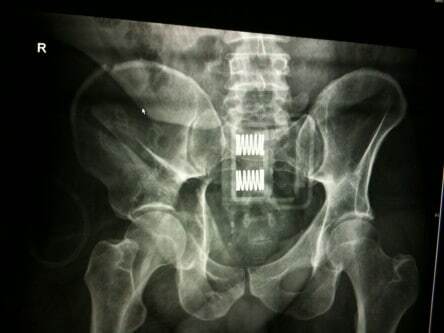 This is the xray taken after application of pelvic binder. Note how the pubic symphysis diastasis has reduced. The patient went to Interventional Radiology for an embolisation. Apart from a groin haematoma, there were no complications, & the patient stabilised. -use a pelvic binder, but make sure it is in the correct position – around the greater trochanters. If it is too high & it can widen an open book fracture. Binding helps reduce a widened diastasis fracture, and may reduce venous ooze. It will not stop arterial bleeding – that requires definitive endovascular or surgical control. LITFL’s Chris Nickson has excellent Q&A approach to pelvic injuries.